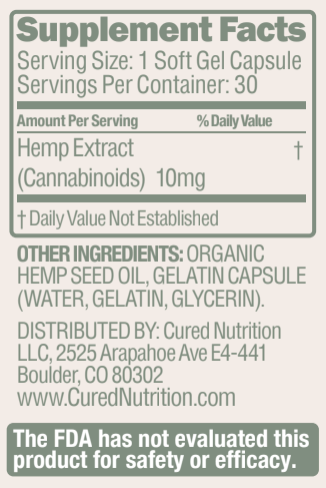 10mg total cannabinoids per capsule. I have used these the past month or so. They work great to help with depression and stress. While playing soccer in college, I broke my right ankle. I was young and never really listened to my PT so as soon as the cast was off, I was out. Two years later, I ended up having a severe groin tear on my right side and simultaneously fractured the same ankle I broke before. Ever since then, I have had constant pain and inflammation from right hip down, with even sitting in the car during traffic for more than 20 minutes causing me severe pain. I knew I had to find something else when my doctor was trying to prescribe me monthly cortisone shots in my hip!! My PT actually recommended CBD oil to me as a means of long term care. I was a little hesitant at first since my understanding of what CBD is was a little fuzzy and I did not want to take marijuana. 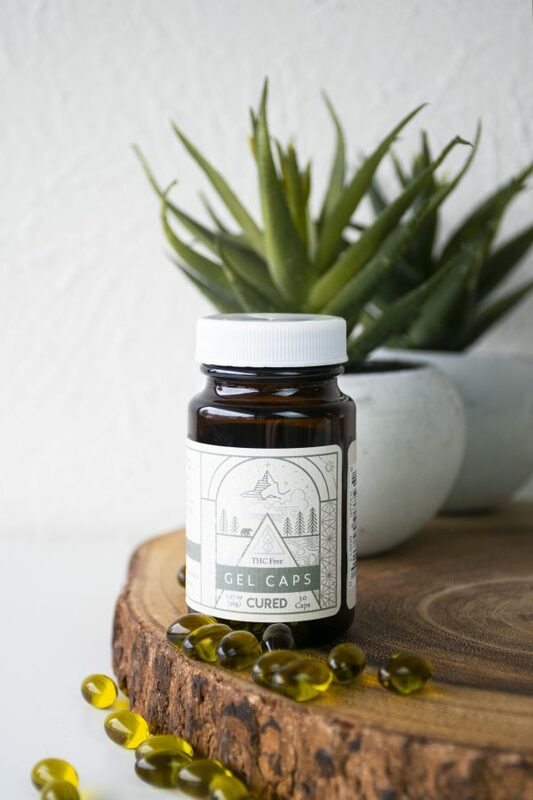 After some research, speaking with people who take CBD regularly, and even consulting my own physician; I decided to try the capsules since I could just add them to my current supplement regime. I can’t even put into words what adding these capsules has done, specifically for my pain management and overall well-being. For months I would take about 12 Advil (the limit) just to make it through the day. Now, I only ever take it when I feel period cramps and even then, I end up taking two capsules on day one of my period and feel minimal cramping throughout my cycle. I physically feel less swelling in my ankle and hip, with my PT even commenting that my right hip is stronger and more flexible than before. I have gotten back into running, something I love to do, and felt so confidant with my pain management that I even signed up for a half marathon in October! My pain is not completely gone and I do many other things like seeing a PT every two weeks, foam rolling/pressure points, sauna treatments, etc. These capsules are just another piece in that puzzle to healing myself in the most holistic manner possible. And what I love most is the fact that I will never become addicted to these capsules. I have definitely gone days without using them, still without pain, and don’t have any sort of withdrawal or addictive feelings. The opioid crisis in the US is astounding and anything you can do to avoid it is paramount to your health. This product literally gave me pieces of my life back and for that I will be forever grateful! Changing my life! Ever since I started using the Cured gel caps, I’ve noticed how much better I’m sleeping and how much my anxiety has improved. I’ve only been using them for a couple weeks, but can already tell that it is going to help me a lot. I recommend these for people who are interested in CBD, but have never taken it before or for people who aren’t sure about the oil. These are easy to take as well with your everyday vitamins! I love the Cured gel caps they are perfect for on-the-go. I take one every morning before I start my day it helps me stay focused. I love these gel capsules because they are easy and covnienent for my busy day. It’s easy to micro dose with them throughout my day and take them anywhere with me. I have a few bottles around my house and I can take them when needed. They work pretty quickly and I notice a difference within 20 minutes. Highly recommend! I absolutely love this product. So convenient while out running errands and has helped tremendously with anxiety and inflammation. I’d recommend it to anyone who wants something natural to help with pain, anxiety, etc. I have been wanting to try this for a while and so glad I finally did and went with this brand! It’s helped a lot with anxiety and has been a wonderful alternative for pain management for menstrual cramps. Love the convenience of the gel caps. They help temporarily manage my anxiety. They work pretty quickly, really great to take before bed to get a good night sleep. Highly recommend!! I love this so much. I typically use the regular herb for stress relief but can’t use it at work for obvious reasons. This helps relieve a lot of work anxiety especially when dealing with customers. Love the convenience of these, and they work great! I’m happy to say that CBD has replaced my crappy anxiety meds and I’ve never felt better. Excellent quality product. I great to take in the evening when I just need to chill out. Wow. So shortly after I started taking the Cured capsules, I experienced my first and hopefully last migraine. Worst pain I’ve ever felt. Like piercing pain where I wanted to cry but knew if I did it would be worse. I was wearing my eye glasses, and sunglasses, had my hand over my eyes and the light STILL hurt. I had the genius idea to take my Cured capsules to see if it would help and it was the best idea I’ve had to date HA! Within 30 minutes I could take off my glasses and actually open my eyes all the way. Ever since then, I never miss a day without taking two capsules. It’s crazy how much these have helped me. My migraines are gone and my anxiety has improved so much! I will keep buying. I wanted a natural method for dealing with my anxiety and Cured Nutrition was the perfect solution. I find it helps my restless and sometimes insomnia filled sleeps and helps regulate my overall mood. I feel calm and relaxed throughout my day. This has been a lifesaver for me and I would (and have) recommended it to everyone. I have used the gel caps for about 3 weeks now. My sleep has been much improved, I usually wake up a few times at night but much less lately. I can tell on days when I take them that my sense of stress is lessened. A very convenient and helpful product. I can take them anywhere, and it’s very easy to measure my dose with the capsules. No complaints. As a paramedic, this has helped with my stress and also neck/shoulder pain. I want to try the drops and dog treats next! I wanted a natural way to deal with my anxiety and this was the perfect solution. I find it helps give me a better nights sleep and helps regulate my mood overall. I would and do recommend this product to everyone I speak to. Thanks for an excellent product Cured! You found a lifelong customer in me! Literally life changing. Anxiety abated, lost weight, slept better, appetite abated. Obsessed and hooked! These are great. I take one in the morning and one in the evening and after 2-3 weeks of having it in my system I noticed a major change in my anxiety and depression. My head just feels “lighter” and I fall into many less “anxiety spirals” than I used to. Definitely worth taking to me. This has helped with my anxiety a TON. I typically take 2 in the morning, and occasionally two more towards the evening/night time. I am hoping to switch off my anxiety medication and only take CBD. I love the gel caps because they are quick and easy to take on the go. My daughter told me about these gel caps. They are wonderful….great pain relievers, great for relaxing and I’m even sleeping better. Quality product and easy to take as a pill. I definitely feel relaxed and would recommend them! I have been using these for a couple of weeks now and just ordered two more bottles. I absolutely love these things. Great for my anxiety even works on headaches! I bought these for my husband who has constant arthritis pain in his ankle from an old motorcycle injury. He’s been taking them for the last couple of months and has noticed an improvement in pain, and as a bonus, he’s sleeping better. I am about to order my fourth bottle. I am so happy to have come across this stuff. So far so good! I can definitely tell it helps calm my mind and wind down before bed. Will keep it apart of the routine for sure! Great product. Will continue to purchase! This is a great product! I have been taking both the capsules and the drops and am loving these products. I will definitely continue to order these through this company . I am very happy with these products. The only thing I’ve ever taken that truly manages my migraines. Highly recommend this for migraine sufferers! I was always skeptical of CBD. But, a 10% off code from an Instagram influencer and a big hike coming up convinced me to give Cured a true. I’m so glad that I did. My muscles and unexpectedly, my digestive system thank you. Everything is far more relaxed after a dose. Since then, I’ve reordered the product on multiple occasions. Fantastic stuff! Helps with sleep and stress, as well as recovery from killer workouts. After feeling a difference, I bought a bottle and sent it to my Dad. It helped a LOT with Arthritis and Joint pain. Cured Nutrition has great customer service (they emailed me immediately after my order to resolve a shipping question). This product has been a game changer for managing my stress. Stress is a huge trigger for managing my rheumatoid arthritis, and this product helps manage the inflammation and stress. I am skeptical with taking supplements and the only supplements I take are this product and protein powders. Highly recommend CN. I’ve been taking these gel caps for about 3 weeks and am convinced they help so much with anxiety, depression, and sleep. I wake up feeling so rested and my mind is clear all day. Just began using as a sleep aid. So far, finding the gel caps as very effective. I am excited to find a product to help me get a good nights sleep. So good. I am highly anxious and also an extremely active person dealing with sore muscles on the regular. Tried this CBD oil to help with both ailments and have noticed a huge improvement in my anxiousness, sleep, and inflammation. These pills have been a great find. I don’t find myself having blue moments throughout the day. I also notice I’m less anxious during certain things. Its also let my brain relax and not over think everything. I take these every morning religiously with the seasonings added in my meals throughout the day. It has helped my anxiety levels throughout the day greatly. The noticible difference is there quickly. It also helps with inflammation and workout recovery great. I definitely recommended to anyone looking for a natural, healthy and true improvement in your daily overall health. Great product. It has help keep the knee pain at bay in the mornings. My husband and I wanted to try these first as we have never had CBD before. They have been a great addition to our evening routine and I truly feel like they help with his anxiety. For me, the most noticable effect has been better sleep! The cured gel caps help my anxiety on the go! Just enough to improve my nerves. 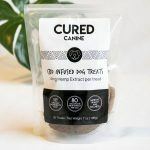 The Dog treats also help with my dog with his knee issues. Love these products!!! Absolutely love these capsules. I took anxiety medication for year and felt like a zombie. I take this instead and finally feel like myself again. LOVE!! These have really helped with my anxiety!! I would highly highly recommend! Love this!! Worked great to help me sleep and ease my racing mind. I take one of these every morning before breakfast (+ oil before bed) and it really is a game changer! I consider this a supplement I will continue to take for the rest of my life to promote good health and a better quality of life.. thank you guys!! I take 2-3 in the morning every day for the last two months and I’ve noticed a significant reduction of stiffness and arthritic pain in my surgically repaired knee. I plan on upgrading to the stronger oils now that I know that it has been working so well. I bought these due to the reviews about helping with anxiety so I’m here to pay it forward and say these are SO great. I’m currently taking one a day as needed and I’m so happy with the way they help me have a clear head and allow me to relax. Will definitely be a repeat customer as long as these are available. Thank you! I started taking these almost a week ago. I ended up having a super hard weekend due to studying for finals week and a mixture of other things but I honestly do feel like it’s taken the edge off with my anxiety significantly! My bloating and stomach issues have also gone down significantly! I’m continuing to take them and ordering more and hoping I see more and more improvements. Also not sure if this is related but my acne on my face has significantly gone down too! On a customer service level I asked a couple questions about products and heard back in a short period of time and the response was lengthy and very helpful! It does not have major effects on me, but I can feel a small difference in my mood and anxiety. My anxiety was not overly bad, but it was enough to ruin my day sometimes, and that hasn’t happened since I started taking it. If you had a LOT of anxiety, one pill would not make much of a difference I don’t think, so it could get costly. But over all, I am happy with it. Love these, first CBD product I’ve felt a real difference with right away! LOVE! I purchased the oil prior to the capsules and loved that as well. The capsules are so easy and convenient. They help tremendously with anxiety and are replacing my medications. I cannot recommend this product enough.Will absolutely be purchasing again! Amazing product! Helps me get the rest I need at night and allows me to wake up like a new man! Amazing high quality product! Helps with my anxiety! I suffer from migraines and taking one of these capsules when I feel one coming on makes my pain disappear! I love love love them. I’m really glad I found this cbd. I’ve been going through a time anxiety/depression wise. I really don’t want to be on a bunch of pharmaceuticals. I bought 1 bottle to try and it has really helped tremendously. It was out of stock when I went to reorder which tells me it’s a great product to a lot of people. I definitely recommend it!!! I’ve gone through my first bottle of the Cured Gel Caps and I’m very happy with it. I would take either 1 or 2 capsules before bed each night and slept better than I have in several years. If I knew a particular day was going to be stressful I would take a capsule in the morning as well to keep any anxiety at bay. I have suffered from anxiety symptoms for many years and since taking the Cured Gel Caps I have noticed a huge difference. I am really impressed with the product and will be a customer for life! Absolutely love these! Super convenient and really help with anxiety and insomnia. My husband would refer some THC but I got these to help with a variety of things, anxiety, sleep and inflammation. I don’t know how much they have helped either of us with pain/inflammation but for how skeptical he was he did ask for me to order more. We’re on our 3rd bottle and will continue to use for anxiety and insomnia issues. Love this product! Switched from the mint oil to these caps to try and save a little bit of money and i’m seeing (almost) the same results. I think this is because it isn’t the same dosage as I’m used to, but they still work great. Taking it 30 minutes before bed to help with sleep is the most efficient way of use for me, as well as taking it in the morning to reduce anxiety throughout the day! I previously tried the raw oil but wanted to see if the capsules worked just as well. I love them! I don’t dislike the taste of the oil, but the capsules are just easier for me. I love that I don’t feel out of it with these, but I do notice after I take them my anxiety just kind of dips for a bit. Love it! Also been helping my autoimmune disorder I’ve been recently struggling with. has helped so much with anxiety and inflammation!!! 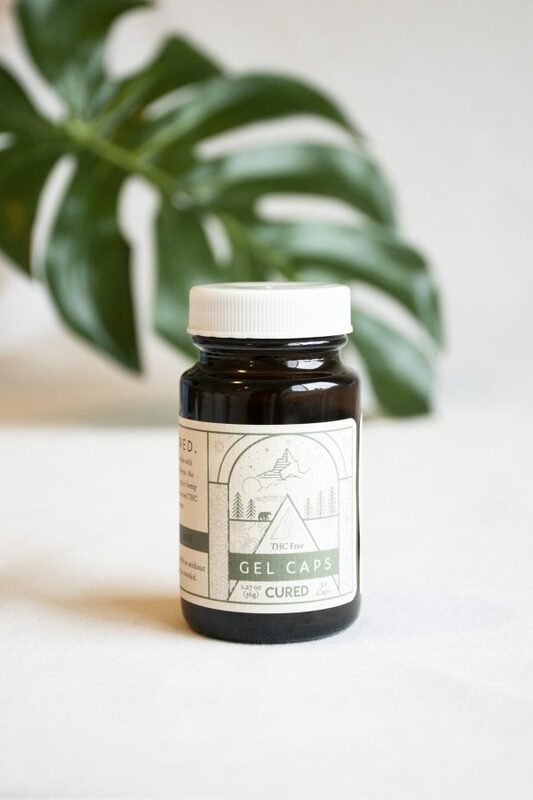 I love the CBD gel caps! Not a huge fan of the oil and having to hold it under my tongue (somehow just ends up filling my mouth *sigh*) so the gel caps are amazing. I incorporate them in my nightly wind-down routine and does wonders to help me relax after a long work day and sleep! What a difference these little gel caps made for my 88 yr old mom. They are easy for her to take- which is awesome. But what was more important was they helped her to relax (she was having a bit of anxiety turning another year older). recovery. Being up in age, it takes a longer time to recover from high intensity training. Looking for this product to help reduce soreness and cut active down time. Almost two weeks in and the jury is still out. I’m currently taking one capsule a day. I may have to up dosage to get a better feel of its effectiveness. Please don’t view 3 stars as a negative or positive rating. Think of them as a half way point. Based on my results, they can go up or down. Love this product. Helps relaxation. I have fibromyalgia and Cured helped me get off my opioid meditation! What kind of product does that? My physician and I are both very happy. Great product! I got these for my husband and he thinks he really notices a difference with his anxiety and depression. And the gel capsules are so convenient! I struggle with anxiety everyday. This product is amazing for those in school, especially those of you with testing anxiety. Without CBD oil I would shake, get sweaty, forget everything and score low on my exams when I know the material. Taking at least two capsules 20 minutes before my test really helped calm my nerves and anxiety. Having three days of testing in various classes I realized it helped with my muscles aches. I am very active with teaching yoga and rock climbing consistently. I started to notice every so often my muscles will start to ache like I’m a 90 year old women. Taking the capsules consistently helped tramendously with the aches and anxiety. I am supper stoked to test out other products from this sight. Highly recommend. Easy and convenient addition to my morning routine. I prefer microdosing my CBD and these are a perfect way. I love bringing these for travel to cut back on my liquid allowance, too! It works wonderfully and keeps me calm and mellow throughout the day. I found this product be very helpful because it reduces my inflammation and swelling significantly after exercising. It definitely helps with sore muscles. I’ve been taking the gel caps for 2 weeks now and have not had much pain or nausea going on as long as I make sure I take my pill! I don’t have most of my intestines and this has been a life saver for me compared to prescription medication that sedates me!! Love these so much!! I love the capsule option as I’m not a huge fan of the oils. Easy to manage and I take 2 capsules at night to help me sleep. Highly recommend!! AMAZING PRODUCT! I’ve been so happy, stress and anxiety free since taking these. Such a natural product, and the caps are perfect size! I have tried a ton of cbd products and this is by far my favorite, besides the cookie dough!! I battle with anxiety, depression, post-operative pain, nerve damage and insomnia- both the inability to fall asleep and to stay asleep. I weight lift 5 times a week and it helps with recovery from the gym, helps me sleep, and helps the anxiety subside quite a bit! Love this product! Ships so fast too- might just be because I’m a Colorado resident. I take one in the morning after I wake and one about an hour before I go to bed!